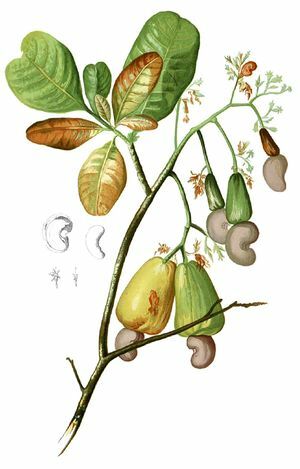 البطمية أو القليبية Anacardiaceae، هي فصيلة نباتية من ثنائيات الفلقة اسمها العلمي (باللاتينية: Anacardiaceae). Brown, F.R.S., Robert; Tuckey, James Kingston; Christen, Smith (1818). "Observations, Systematical and Geographical, on Professor Christian Smith's Collection of Plants from the Vicinity of the River Congo". Narrative of an Expedition to Explore the River Zaire Usually Called the Congo, in South Africa, in 1816, Under the Direction of Captain J.K. Tuckey, R.N., to Which is Added, the Journals of Professor Smith; Some General Observations on the Country and its Inhabitants; and an Appendix: Containing the Natural History of that Part of the Kingdom Congo Through Which the Zaire Flows. لندن: John Murray. Retrieved 2009-04-09. Müller, Hermann; Knuth, Dr. Paul; Davis, James Richard Ainsworth (1908). "XXXII. Order Anacardiaceae". Handbook of Flower Pollination Based Upon Hermann Müller's Work ‘The Fertilisation of Flowers by Insects’. Volume II, Ranunculaceae to Stylidieae. Oxford: Clarendon Press. pp. 258–259. Retrieved 2009-04-11. Britton, Ph.D., Nathaniel Lord; Brown, Hon. Addison (1897). An Illustrated Flora of the Northern United States, Canada and the British Possessions From Newfoundland to the Parallel of the Southern Boundary of Virginia, and from the Atlantic Ocean Westward to the 102D Meridian. Volume II, Portulacaceae to Menyanthaceae. Charles Scribner's Sons. Retrieved 2009-04-11. Information related to البطمية from Wikispecies.